A great way to get an overview of everything Asheville has to offer. The Grayline trolley tour includes 10 stops with pick ups every 30 minutes so you can pace yourself and spend the time only where you want to. 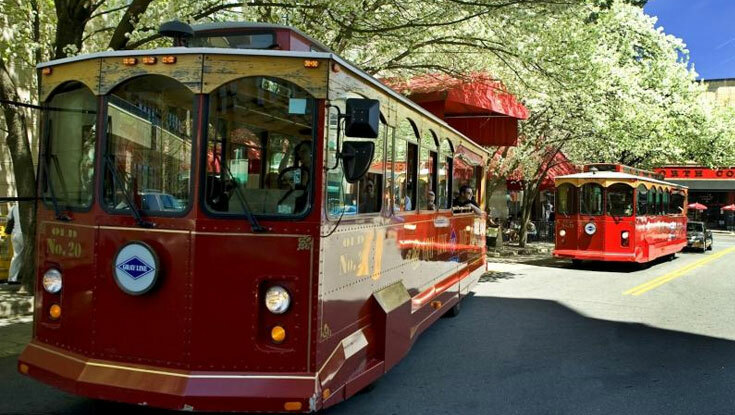 The trolley picks up at the Grove Park Inn (Sammons Wing Entrance). Stop by the hotel Concierge Desk to pick up a schedule and get your complimentary* trolley tour ticket. (*MHI will take care of the costs for (1) ticket each board member and spouse.) You can choose to use the ticket any day of your stay.